Blue Yeti is one of the most popular USB microphones for desktop out there on the market point the popularity of the mic is due to the variety of options and polar patterns available with the mic. There are many alternatives to this like Blue Snowbal, Audio-Technica ATR2100, and Zoom H1 and many more. 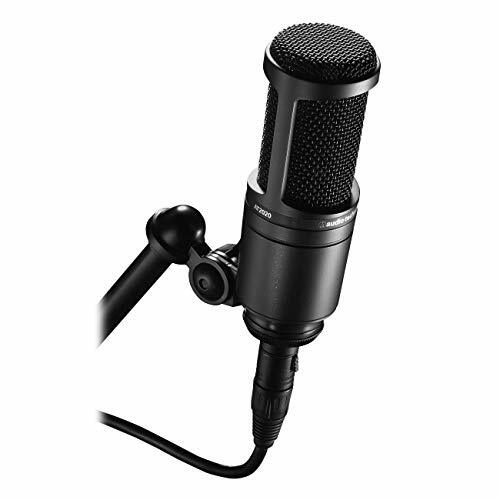 Added to that the mic is also of very high quality and has a great design to ensure good durability. But the main problem is for many people, Blue Yeti comes at a premium price. So for newbies who are looking for a decent quality mic at an affordable price, the Blue Yeti would not be an option for them. But seriously there are other better alternatives for a cheaper price and that offers, even more, features than Blue Yeti. Although the Blue Yeti offers features that are unbeatable for the price, it is not as versatile and portable as other mics. If you are looking for a decent midrange USB mic that can be only used when connected to PC, then Blue Yeti maybe your go. The sound quality of Blue Snowball is almost comparable to Blue Yeti. But the thing is the Blue Yeti comes with support for various patterns like cardioid, bidirectional, omnidirectional & stereo. Whereas with Blue Snowball, there are options for only cardioid or omnidirectional mode. If you are planning to do an interview or two-sided podcast with this mic, you may need to do the stuff using Omnidirectional or Cardioid mode only. Coming to the sound quality, you won't notice any much difference in the sound quality unless you are an audiophile. 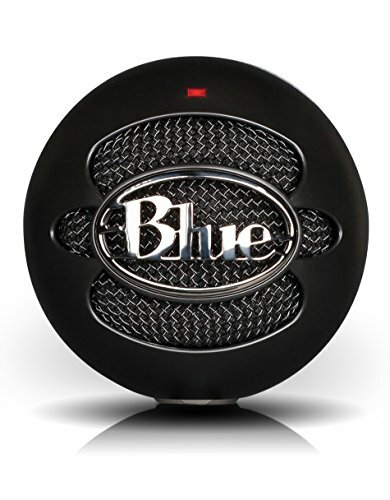 The output level of Blue Snowball maybe a little bit low when compared to Blue Yeti according to the reviews of many. Similar to that of Blue Yeti, there is a good emphasis on the low-frequency voice. As you may already know that the Blue Yeti is very sensitive and it picks up every noise in your room while recording. As opposed to this the Blue Snowball is a little bit less sensitive and it can be both a good or a bad thing for you based on your needs. 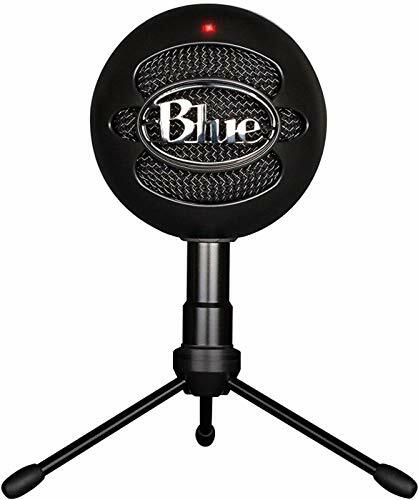 Similar to that of Blue Yeti, the Blue Snowball is also well built, very durable and the design is excellent. This is a very affordable Blue Yeti alternative. The mic is built very light so that you can easily mount it on your desktop or mic stand without worrying about the weight. It can also be a good handheld mic as it’s light. It certainly looks very premium for the price as you can see in the image. It has an aluminum body and a grill. It has a LED light that switches on when turned on and an on/off toggle switch. At the bottom of the mic, you get the USB port, XLR port, 3.5mm jack for monitoring and also volume rocker for the audio output. Out of the box you get the microphone, basic XLR cable, mini USB cable, mic stand, and also a shock mount. The pack does not come with a windshield. You may need to buy them separately for as low as $5 for a pack. This ATR2100is a USB dynamic mic, that means the sensitivity of the mic to background noise will be very less. It does a great of rejecting off-axis sources and background noises. 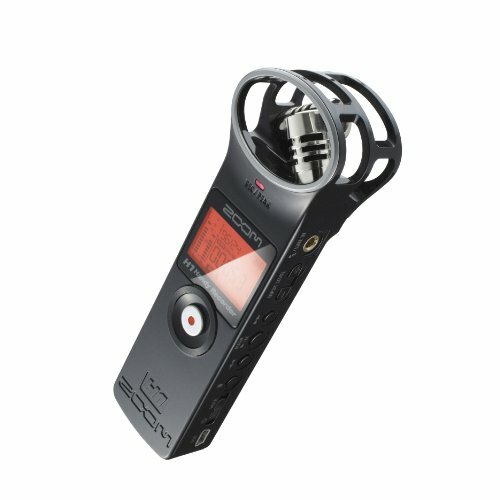 The most unique feature of ATR2100 is that it has got two connection options – the XLR and also the USB support. It also comes with a 3.5mm jack so that you can monitor your own audio as you record. It’ll be a full audio output from the PC. The sound quality of the ATR2100 mic is too good for the price. The sound quality is well balanced with it being boomy on the low end or harsh on the high-end as the frequency of the mic is from 50Hz – 15kHz, with a cardioid pattern. As it’s a dynamic mic, it’s less sensitive and will not pick up the noise. On the other hand, you may need to speak close to the mic to get a really good warm sound quality. If you manage to hook it up with a professional grade mixer, preamp or an interface, you manage to get a much more professional sound quality. 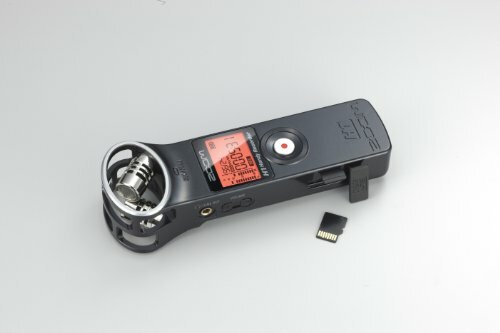 Zoom H1 is more than just a mic and it's a complete audio recorder. 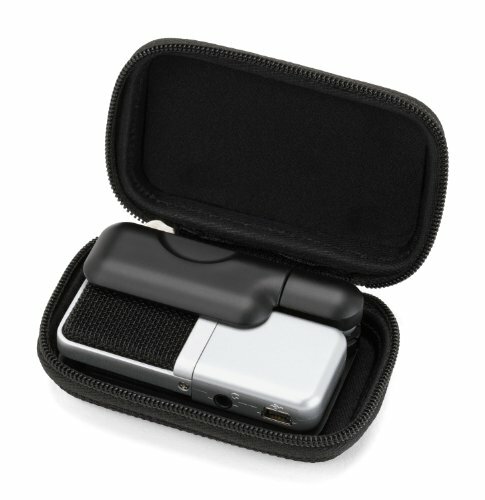 Apart from using it with the PC, it can also be used as a standalone voice recorder while on the go. The greatest thing I love about Zoom H1 is its versatility. there are numerous ways by which you can use the Zoom H1. You can use it as a desktop USB Mic with USB cable, you can mount it over your DSLR using a shoe mount, or you can use it as a handheld mic mounting it over a holder. If you are buying Zoom H1, I would highly recommend you to also buy an accessory package for the mic . The accessory package will be a great addition to your mic as it comes with windshield, hard case, mic holder, tripod, AC adaptor and also USB cable to use your mic as a desktop mic. It is extremely portable and it's even smaller than your mobile phone. You can carry it anywhere and take the interviews and podcasts with ease. The mic consists of an XY mic setup for stereo recording and also has options to toggle low cut filter, gain level, choosing between MP3 and WAV formats, and much more. The Zoom H1 is one is the best versatile mic that can be used for any purpose you can imagine. It can also be used with the lavalier mic. If you are on a low budget to get a wireless lavalier mic, you can get a cheap wireless lavalier mic like a giant squid and attach it to the Zoom H1’s Line in Port. Apart from lavalier mic. 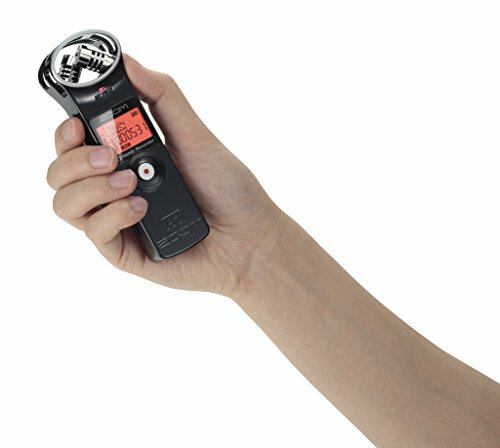 You can also attach any Shotgun or any other condenser mic to the line input of the Zoom H1 portable recorder. If you are not ready to spend money on multiple mics for various applications, Zoom H1 maybe your go. It's travel-friendly and you can just slip it in your pocket and you are ready to go. This is the mic that is something more affordable than Blue Yeti, but still has a sound quality better than Blue Yeti. 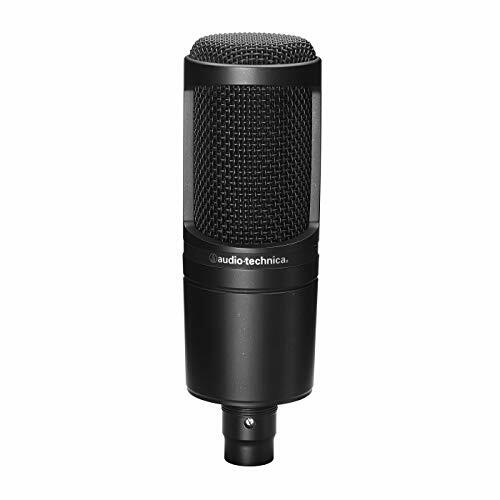 You may be wondering why Audio Technica AT2020 is not yet popular as Blue Yeti. It is because the AT2020 comes with no support for multi patterns. With this mic, you will have to only stick with cardioid mode and there are no options for the bi-directional or omnidirectional mode. Another disadvantage of AT2020 is that you may need a preamp to power up the mic. Whereas with Blue Yeti, you just need to plug the mic wit the USB cable and you are done. 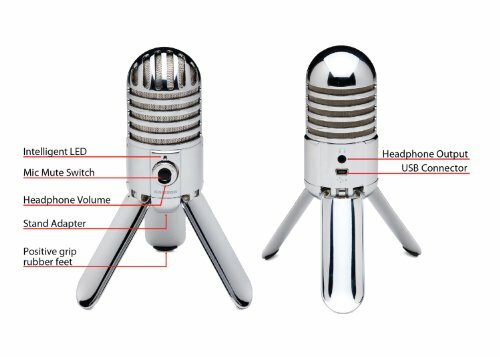 There are USB versions of the AT2020 mic, but they cost you more at around $200. It has extended frequency response and superior transient response, hence has great sound quality. With MXL 770 mic, you get the mic, mic shock mount, plastic carrying case, documentation, and a one year warranty. The build quality of ﻿MXL 770 is great. It’s full metal construction and seems pretty premium and is durable. On the back of the mic, you got two switches. The first one is a bass roll-off, which helps you to tweak the bass level while recording boomy sounds, and another switch is a 10dB pad and it decreases the signal while recording very loud music. ThisMXL 770 mic needs an audio interface of at least 48V phantom power. You may need to get a good interface like Focusrite Scarlett Solo. The polar pattern of this mic is cardioid, and it should be decent in rejecting off-axis sounds. The frequency response is 30Hz to 20kHz, making it a good sounding mic for electric guitars and vocals. The mic is a bit lacking in the high-end and is not very bright compared to some other mics in this segment. Overall the recording will be warm and emphasized on lows and especially at mids. As I said earlier ﻿MXL 770is really good at rejecting off-axis sounds and background noises like any other dynamic mics. It helps greatly if you are worried about the keyboard noise being picked up especially in case of condenser mics or you’re recording out of your shared office space. The choice of both USB and XLR makes it great for both beginners as well as for professionals. You can start using this mic with USB, and later you can upgrade the sound quality with an audio interface as well. The sound quality via USB is also very great. Many people describe this mic as beating even Blue Yeti and Snowball as it is great at rejecting noise without sacrificing the quality. 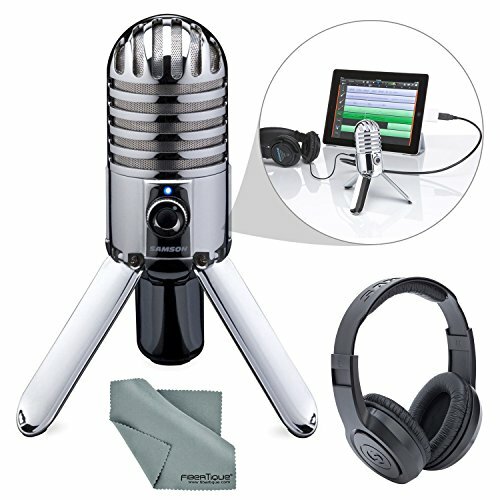 Samson Meteor is a good affordable alternative to Blue Yeti. Unlike Blue Yeti, it won’t come with multiple pickup patterns. You only need to use the Cardioid pickup pattern with this mic. Like that of Blue Yeti, the mic turns out to be pretty sensitive. It tends to easily pick up the noise of the fan or AC running in your room. Nevertheless, you can easily cancel out the audio using software like Audacity or Audition. It is as simple to set up as Blue Yeti, as this is also a USB mic like Blue Yeti. The build quality is also great and comparable to Blue Yeti. It’s solidly built and the leg stands are sturdy enough as expected. The sound quality of this Samson Meteor is pretty close to Blue Yeti. But the selection between multiple pickup patterns is not there. 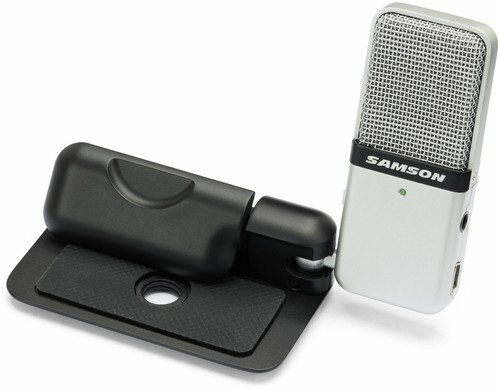 This Samson Go is the cheapest condenser mic that has good performance if you are looking for Blue Yeti alternatives. It is a portable mic that can be plugged via USB and be used with PC or Mac with no software installations or drivers. Unlike the Yeti, this mic is very compact and travel-friendly. The mic comes with options to switch between Cardioid and Omnidirectional pickup patterns. This is great. The omnidirectional mode is great while doing group interviews or discussion. The Blue Yeti has a slight edge above the Samson Go as its sound quality is slightly better and also has bi-directional pickup pattern. But is it worth the extra 100 bucks? You are the one to decide. 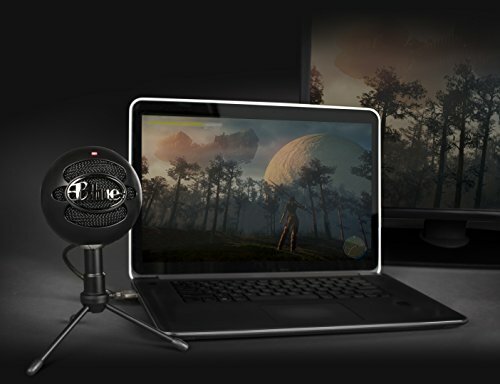 Due to the small footprint of the mic, you can easily clip it on your Laptop for getting high-quality audio for Skype sessions and podcasting. These are some of the best Blue Yeti alternatives. I personally preferred Zoom H1 or Blue Snowball. Again, the choice depends upon your needs. I use Zoom H1 for most of my recordings due to its versatility, and I'm in love with it.